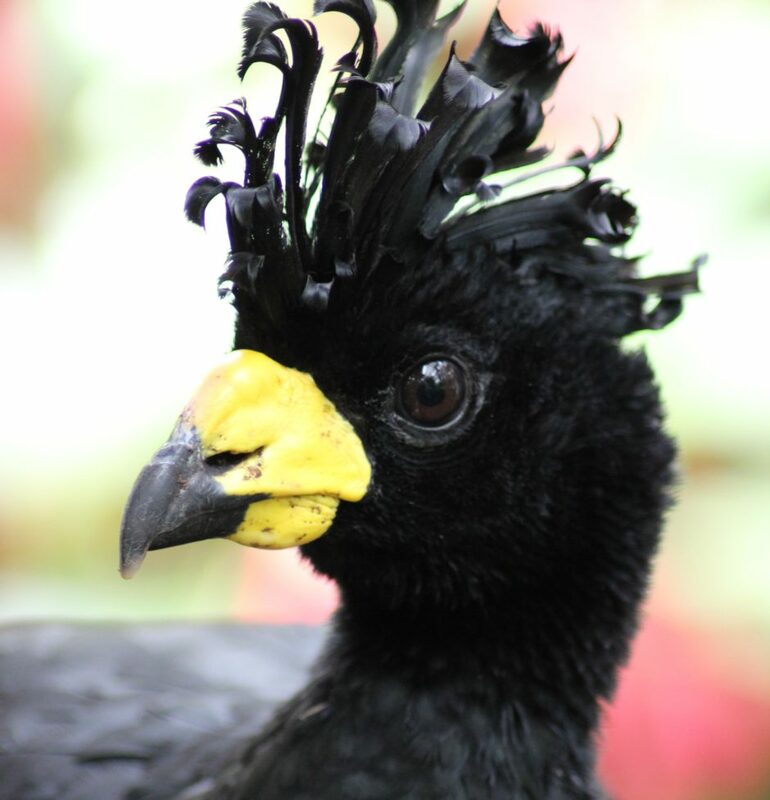 Yellow-knobbed curassows live in the forests of Colombia and Venezuela in South America. They are often found near river valleys and water holes during the dry season, or in grassy areas called Llanos. They are named after the yellow flesh around the beak of a male, called the “cere”. Females can be distinguished from males by their black beaks. Curassows are related to gamebirds such as pheasants and partridges. They forage for food on the ground, eating a varied diet of fruits, seeds and sometimes insects. Curassows may also be found in tall trees where they roost at night, or call to advertise their territory. Yellow-knobbed Curassows make a noise called the “descending whistle” which sounds like a firework! Males make this sound to advertise their presence and often clap their wings together immediately afterwards. Like many other gamebirds, Curassows are threatened because they are hunted for sport and food, even within protected areas. Deforestation of their habitat for the creation of rice fields has created many areas of fragmented forest. Curassows are less successful breeders in this habitat as their eggs are heavily predated. The species is classed as Near threatened by the IUCN because of a small population of only 10,000 – 40,000 birds.